But in all these 40 years, there has been only one person who actually stopped his life and set out on foot to bring attention to the human rights issues in Iran. 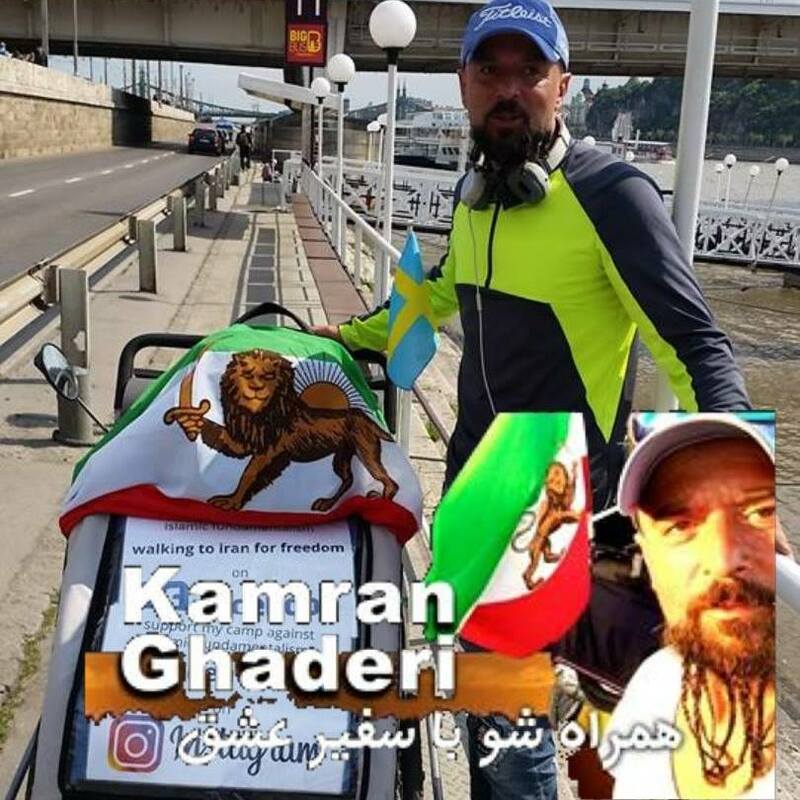 In March of 2017, a man by the name of Kamran Ghaderi, set OUT, ON FOOT, to walk from his home in Sweden to Iran, carrying the Iran's true SHIR-O-KHORSHID Flag. He left his wife, Birgitta, his 2 sons and a grandchild, to walk over 7,000, kilometers through different countries, to raise awareness to the human rights crisis and for free and honest voting in Iran. His "Voyage of Love" as he calls it has taken him through countries such as Italy, Slovenia, Hungary, Slovakia, Austria, Czech Republic, Germany, Greece to finally resting in Turkey before crossing the border into Iran. Two days ago, he set out on the last leg of his trip and is presently very close to the Iranian border. 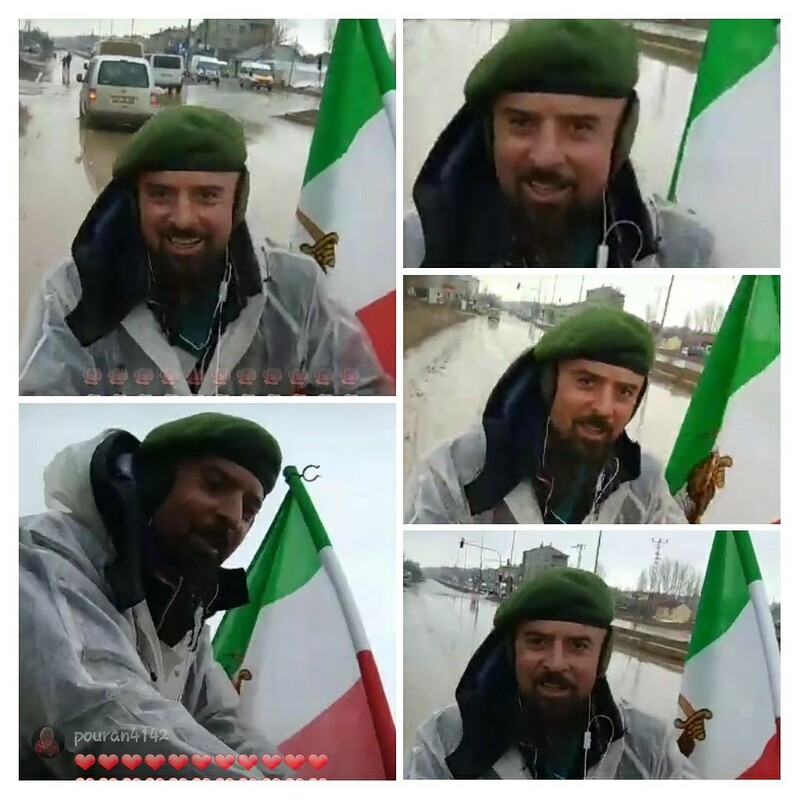 We, as his friends and family are extremely proud of him but are also very worried as to his entering Iran with the SHIR-O-KHORSHID flag. While this flag is historically Iran's ancient and true flag, the present Islamic regime views it as an enemy flag tied to the previous Pahlavi regime. It is thus of extreme and utter importance that Kamran Ghaderi's name and mission be spread and broadcast around the world to get as much media attention as possible. 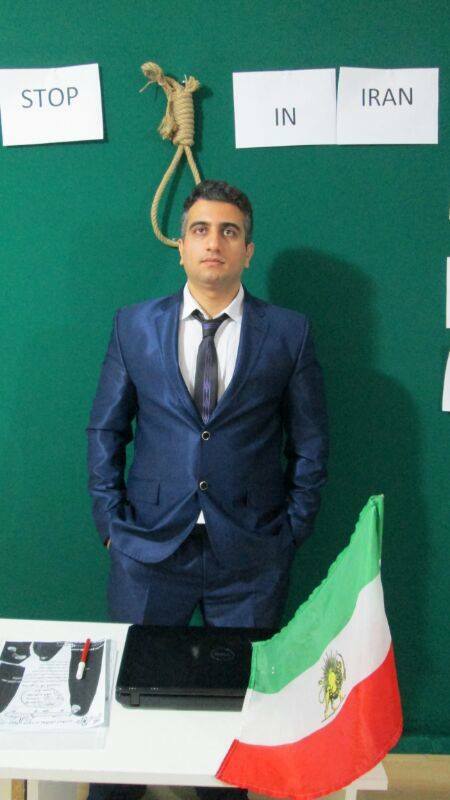 This is to ensure his safety once he enters the Islamic Republic. His Voyage of Love is exactly that... A man's pure love for his country and countrymen. him on his live blogs several times a day in Facebook and on Instagram. Stand with Kamran!